Sites have been testing different and creative ways to engage with users and better understand their needs and aspirations. We have also been creating a toolkit for co-designing with people with learning disabilities. We will share this later this year, so watch this space. Sites have been gathering data for their evaluations to build a clearer picture of what it takes to deliver the Named Social Worker approach, and what difference it makes. We have also been gathering the sites’ logic models and evaluation data and plan to share the programme evaluation in March 2018. We hosted a webinar based around the question: ‘What does it take to deliver truly person-centred care?’ – see more on this below. In her Annual Report published at the end of last year Lyn Romeo, Chief Social Worker for Adults, reflected on what the role of named social workers could mean – for individuals making their own decisions about their lives and challenging others when this doesn’t feel right, for systems leadership and for cross-sector collaboration. During the webinar, Lyn reflected further on the role of the named social worker in person-centred care. Focusing on what matters to each person, and supporting them to make it happen. Raising our aspirations: in what we hope for people and in what we believe is possible to achieve. Using an asset-based approach. Recognising that everyone is different, has different strengths, hopes, dreams and fears. Achieving this takes collaboration across the whole system and a common practice that is based on shared values. But changing how we work with people starts with relationships. Through the Named Social Worker Programme, we are witnessing the importance of strong and consistent relationships between practitioners and people with whom they work. To enable these, it is crucial that social workers, practitioners and supporters are equipped with communication skills and techniques that will help them really get to know people, build trust and ultimately achieve shared goals. For social work particularly, this can be supported by making space to deepen skills and knowledge through effective supervision, paired with curiosity and motivation to push the boundaries of what is possible. With support across all levels of practice leadership, this begins to look possible, and we can build a social work community that feels it has permission to do what it takes to create great support, based specifically around each person. What does it take to deliver truly person-centered care? What made you want to be a social worker? I’d never had contact or knew very much about social work before, but when I finished my undergraduate degree I took a year out and spent much of it working with homeless people. Doing this I realised that that’s what I wanted to do: I wanted to help adults, and social work seemed like the way forward. What is your favourite part of the job? Working as a social worker, I’ve always found people interesting and the job has never been boring! I really like having a challenge where you can see that what you’ve done has made something better for someone. You can see your achievements, even when it takes time to get there. Since I qualified in 2011, I have always worked under austerity measures and working in 3 different local authorities in this time, I’ve seen how different teams cope and adapt to this. The reason I wanted to work on the Named Social Worker Pilot was because it demonstrates the type of social work I’d like to be doing all of the time: working alongside people, getting to know them and doing what’s best for them, but in normality, there isn’t always the luxury of that space and time to do it. What are some of the hardest aspects? It’s particularly difficult to work with people who are non-verbal, and I’m learning lots about this. We are doing some Makaton training, and working with the co-production team from the Pilot to learn about and try new and creative methods of communication. Working in transitions, this means that I can spend more time with young people themselves to find out what they want. I’m trying to not just talk to the parents, but engage with the young person as much as possible. Parents want the best for their children, but sometimes the parents’ and the child’s versions don’t match. Ultimately it’s about striving to do what the young person wants, and what’s best for them. What do you think you need to be a great social worker? 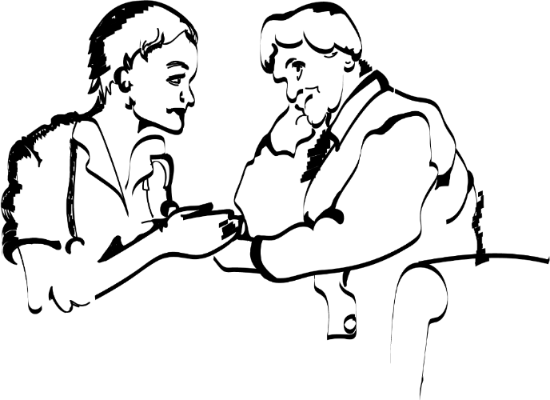 Be a good listener – It’s something that I’m learning to do: listening, really listening. Not just to what people are saying, but also to what they aren’t. Honesty and openness – you have to recognise that you’re not the expert here, you’re learning. You’re not necessarily going to get it right all the time, but you have to be open about that with everyone: young people, parents, teachers and other social workers. 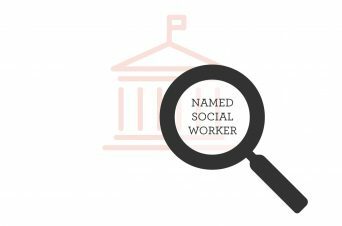 The Department of Health & Social Care initiated the Named Social Worker programme to build an understanding of how having a named social worker can contribute to the quality of life, for individuals with learning disabilities, autism or mental health needs. It aims to put people and their families in control of decisions about their future, supporting them to live with dignity and independence. What does it take to deliver truly person-centred care? 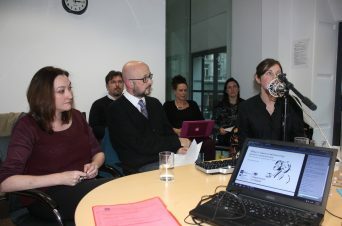 As part of the Named Social Worker programme, Innovation Unit, SCIE and the Department of Health & Social Care hosted a webinar to explore what it takes to deliver person-centred care. Interested in person-centred care, learning disabilities and social care? Join our free webinar on 6th December to hear from speakers across the social care system. 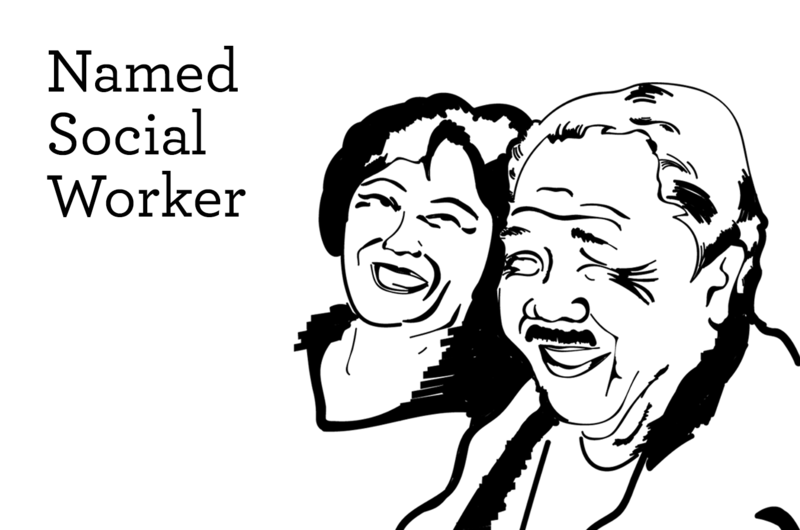 Having a named social worker means having the opportunity to develop relationships that really work.